Our entity is rendering Inventory Management Software. Software for Inventory : Suitable for Restaurants, Supermarkets, traders, textile, warehouses etc. Also available - Point of Sales Software for Restaurant. Point of Sales Software for Supermarket. 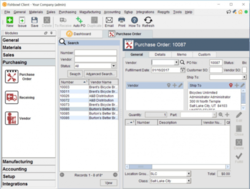 Inventory Software. 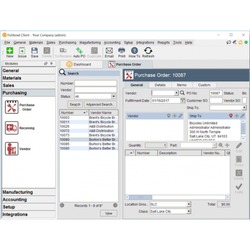 Barcode Label printing Software. Trawex Technologies is a leading software provider for travel management companies all over the world. We offer end-to-end travel management solutions. Travel is an integral part of doing business for most companies and needs to be well managed to ensure the costs associated brings the best value to the organization as a whole. Retail Pro handles multi company, multi stores Inventory. Monday Ventures’ shopping cart helps create online stores with thousands of products. Designed with the end-user in mind, it is highly intuitive and not only manages and completes orders efficiently but also offers convenient and secure payment methods. It is fast, user friendly, customizable, and scalable. Brady's selection of powerful, flexible label & sign generation software offers a choice of features, print technologies and operating systems to meet today's growing identification needs. Focusing on customers' purchase pattern and buying behavior is been shop keeper's favorite activity. By understanding the trend in customer buying you can increase the sales. Mechtrade is offering never before offer on Modeling software. #Buy 1 Get 1 #Free. VInventory - The complete Inventory and Billing management solutions is for all size and type business. WHEN WE SAY COMPLETE, WE MEAN IT!. VInventory consists of Sales, Sales return, Quotation, Purchase, Purchase Return, Payments and Stock Management. dRetailer is a desktop application developed to meet the requirements of shops whose activity is retail selling. Functions covered are purchasing, invoicing, purchase and sales returns, consignment sales, stock adjustments, cash balances and inventory. - Search a clinic near you.